We’re happy to announce that Virgin Active has teamed up with Varsity Vibe – so you can get your fit on at your own pace! 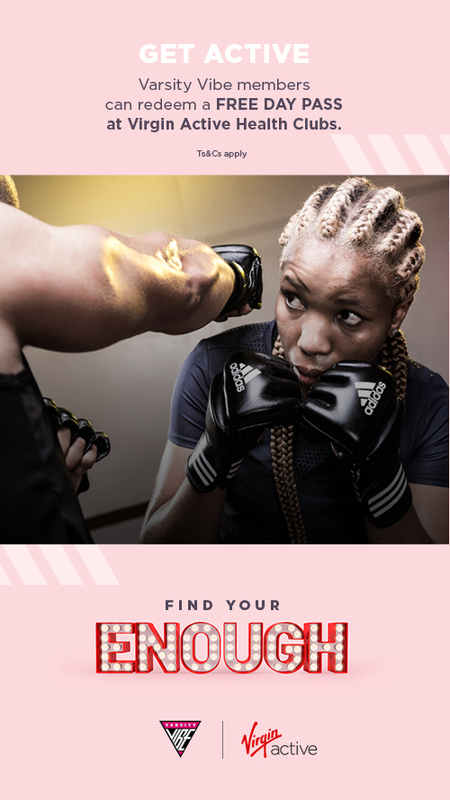 Virgin Active South Africa is offering all Varsity Vibe members a FREE DAY PASS at selected clubs* Simply visit your closest participating club, present your Varsity Vibe coupon at reception and we’ll take care of the rest. Already a Virgin Active member? Bring a buddy to redeem your free day pass, and get up and active together. 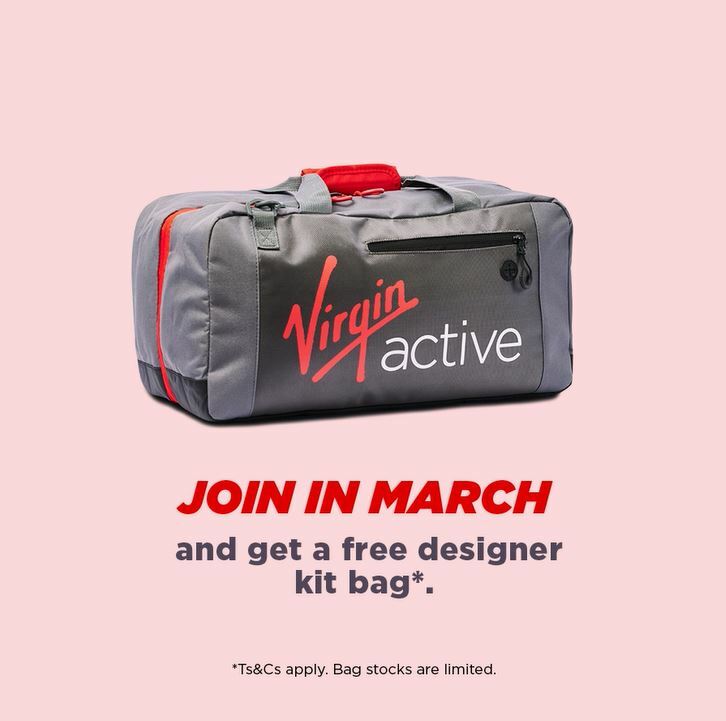 Plus, join by 31 March 2019 and get a free designer kit bag*. Virgin Active has everything you need, from cutting-edge equipment, rock star personal trainers, and feel-good group exercise classes like the Grid, Rumble, Ride or Yoga. Let Virgin Active help you find your enough to move better and feel healthy again!